"I have to say Stan's Roofing provided excellent service..."
"Scott Higgins did a GREAT JOB!!!! Junior(crew chief)..."
We see small roofing issues escalate into bigger problems all the time, and this client wanted to be proactive since their roof would need replacing in another year or two anyway. We visited their home, inspected the roof, and crafted a plan to remedy the issues. Good as new! We took off the existing roof, added a ridge vent system, new vents, lead plumbing flashings, gutter guards and more. This homeowner had a full tear off and replacement of their roof. We also installed Certainteed's Winterguard, new flashing, vents, built a chimney cricket(per code), and replaced their skylights with Velux skylights. The shingles featured here are Landmark Pro in Georgetown Grey. Looking for an estimate to replace siding on home and detached garage with fiber cement. Potentially interested in replacing the front door and window on the garage as well. Request quote on gutter replacement and downspout additions. Current gutter system is designed incorrectly. A lot of roof runoff and flooding in the yard. Main peak on front of house - the siding needs to be reattached. Also, two areas where the gutters are leaking. I need new gutters, fascia, soffit, siding. Nuri A. S PEBBLECREEK DR.
Have already told others of your good job performance and good pricing. 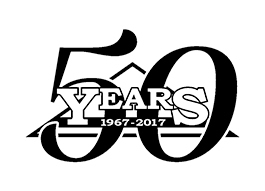 Stan's Roofing & Siding has served the residents of Lemont since 1967 with a wide range of roofing and siding services. Our employees are professionally trained and capable of installing or repairing your roof or siding quickly and efficiently. Stair Step Flashing was used in this location. Also you can see a great view of the newly installed gutter guards. Sagging gutters in a spot, dripping on inside of fascia there. The roof is from 2001 with some worn shingles by the gutters. Wanted to get an expert idea of what would be a smart decision. I need you to quote the change of the shingles. They are currently wood shingles. I would like a quote to change the shingles the same way. As well, please quote for asphalt shingles for longevity and the most economical. please call me. I'M LOOKING FOR REPLACEMENT OF ROOF - OUR HOME IS 21-22 YRS OLD. Looking for siding repairs/replaced on back of house.